I’m always looking for a good way to cover up a stain on a pillow. I finally found one. OK, I’m only half kidding! 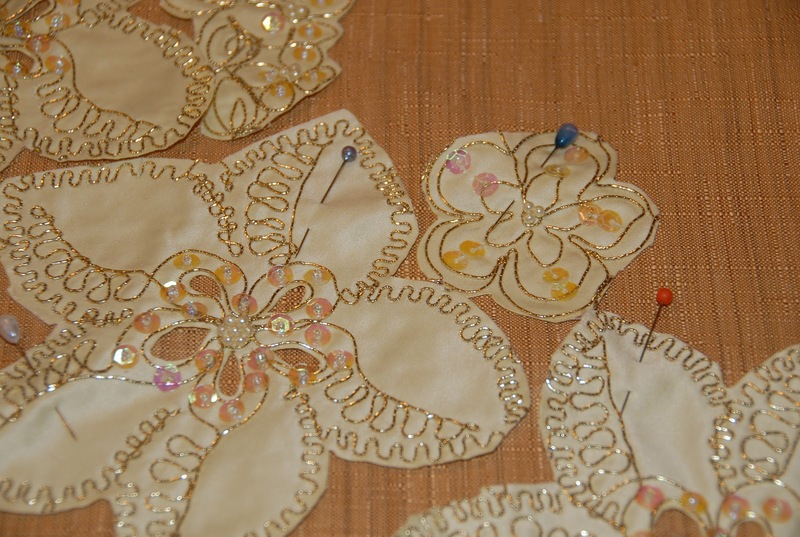 I just like gluing fabrics together because the bond is just amazing! 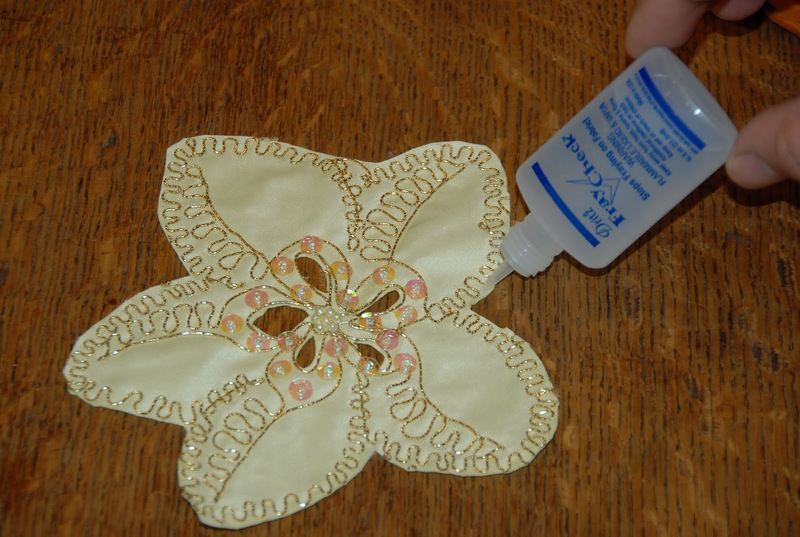 Hot glue is an amazing fabric bond and did you know that E-6000 is washable? Either glue will work wonders on this project. 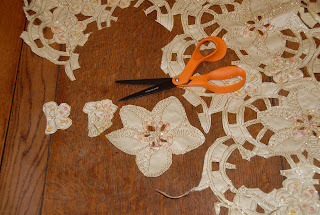 Any lace will do for a project like this and if you’re really adventurous, try doing it all over an old ottoman that needs some sprucing up. I think you might really like the results. 1. Cut your lace apart to separate the flowers and leaves. 2. If there is a rough edge or an edge that you think my fray, use Fray Check on it. 4. 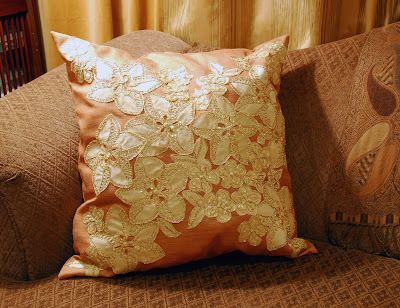 Lay your pillow flat and start arranging how you want your lace flowers. 6. Start gluing them with the hot glue until you’re satisfied. 7. Stuff your pillow and sew the hole closed and you’re done! This is really Interesting :) totally smart !! 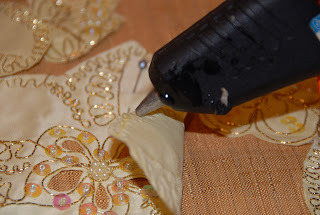 Ah the hot glue gun can fix a multitude of sins. Ooh! This looks so fun, I was actually thinking on heading to the thrift stores in search of home things that could use a little TLC. I think some pillows could get a big improvement with this project!